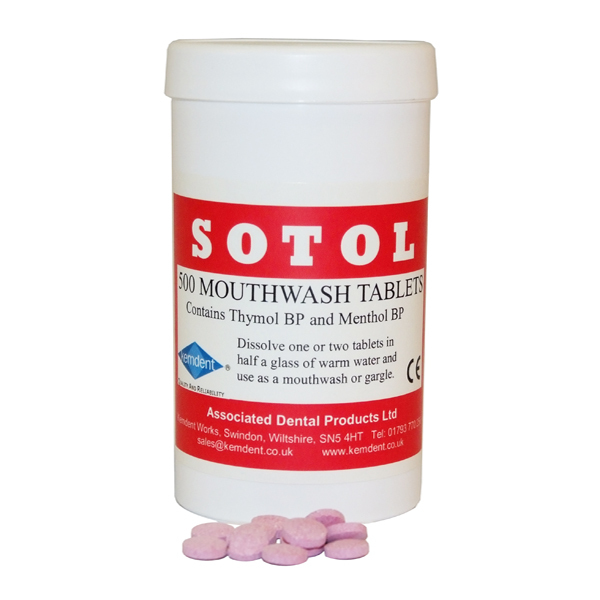 Sotol Mouthwash Tablets provide a clean and convenient way for the dentist to provide a patient with a refreshing, cleansing mouthwash. 500 or 100 tablets per tub. Tangy flavour removes any unpleasant taste left in the patients mouth after treatment. Tablets dissolve quickly in water giving an effervescent solution.